Tarragon – a classic French herb – has an anise or licorice-like aroma, and used sparingly, can transform any poultry dish. 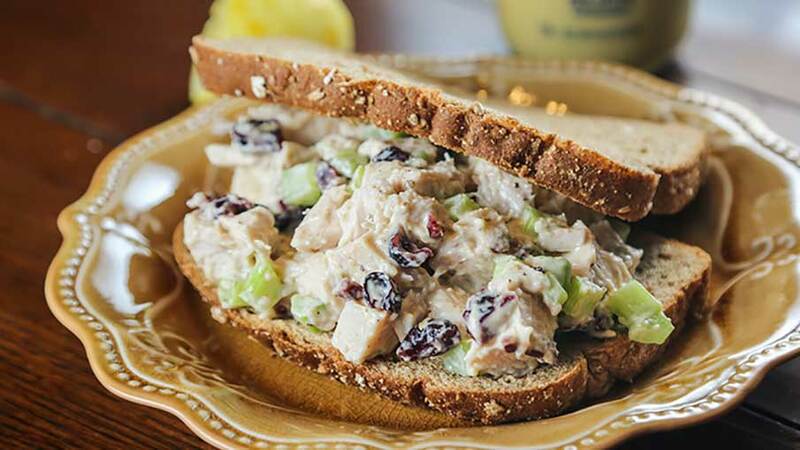 To round out this creamy wild turkey salad recipe, I add tart cranberries, lemon zest and juice, which give it a much-needed brightness. 1. To make brine, combine water, kosher salt and brown sugar, and stir until dissolved. 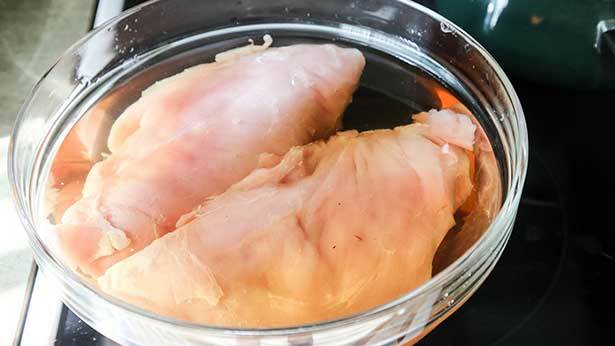 Submerge turkey breast into the brine; use a plate to weigh it down. Refrigerate for 2 to 4 hours – the longer the saltier. Note: Skip the brine if you wish, but wild turkey breast dries out easily. 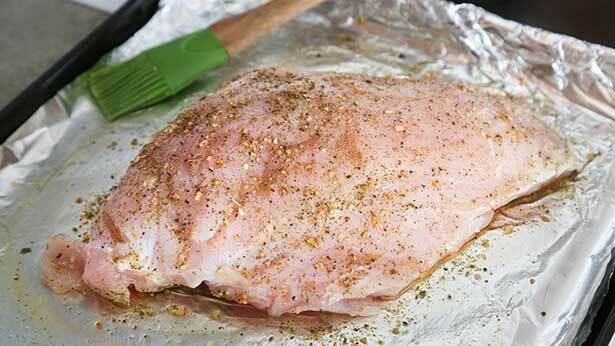 The simple brine will add flavor and ensure that your turkey breast stays moist in the oven. 2. Preheat oven to 350 degrees. Remove turkey breast from the brine and rinse with cold water. Pat dry with paper towels. Rub with olive oil and season with cracked black pepper; I also used a bit of Mrs. Dash. Place on a rimmed cookie sheet and bake for about 40 minutes or until internal temperature reaches 160 degrees. Once cooked through, allow breast to cool. 3. Dice or shred turkey breast. 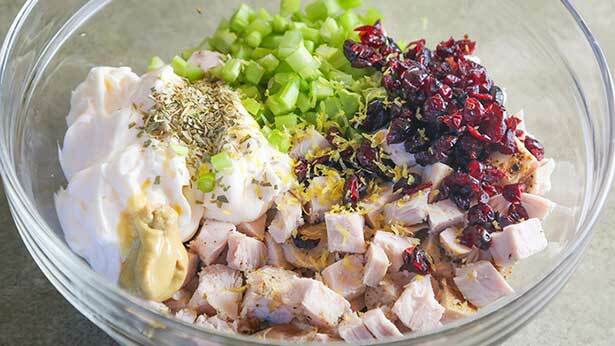 Place meat into a medium bowl and mix with mayo, tarragon, Dijon mustard, cranberries, lemon zest, lemon juice and cracked black pepper to taste. Keep salad refrigerated until ready to eat. 4. 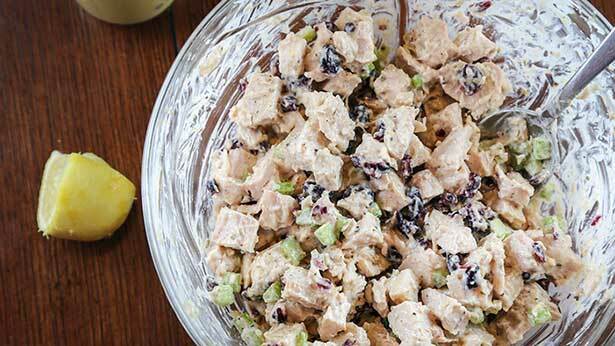 Enjoy this wild turkey salad recipe on crackers, over Romaine lettuce, as a sandwich – or straight out of the bowl!